!! Notice for upcoming orders !! Great Scott: The holiday season is here already. I’ll of course also be accepting new orders after this date, I’ll just plan to ship after the new year. I usually take a couple of weeks off around the holidays, so just add a 2-3 weeks to my normal work time. I.e., instead of a normal 5-ish weeks to deliver, it’ll be more like 7-8. It was inevitable that I would get around the carving an anchor pendant. Zillions of them are out there, and with good reason: they are iconic and symbolic and just flipping cool. Here’s my iteration. 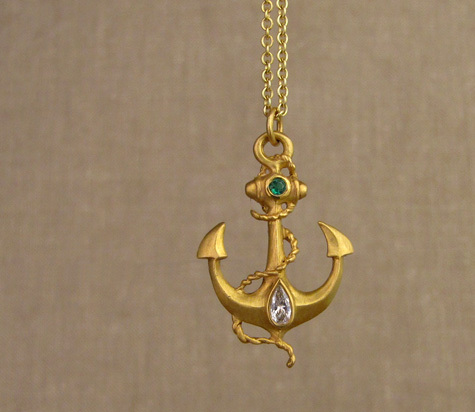 Since this is not an anchor for dragging along the bottom of the sea, I made it in 22K gold and added a .11ct E-F-G VS pear diamond and a little 2mm emerald. YAAAAARRRRRRRR!!!! 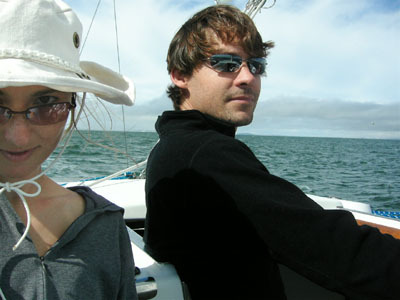 That is a photo of The Sailing Jeweler + The Husband, once upon a time. 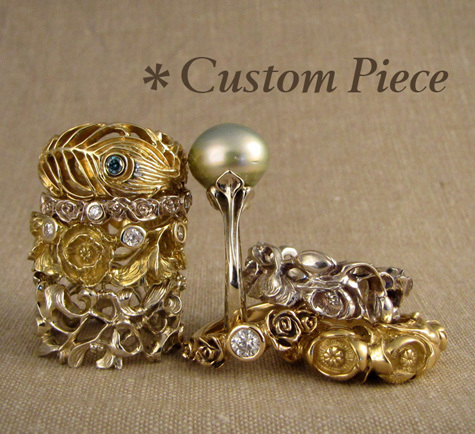 New solitaire for the shop! 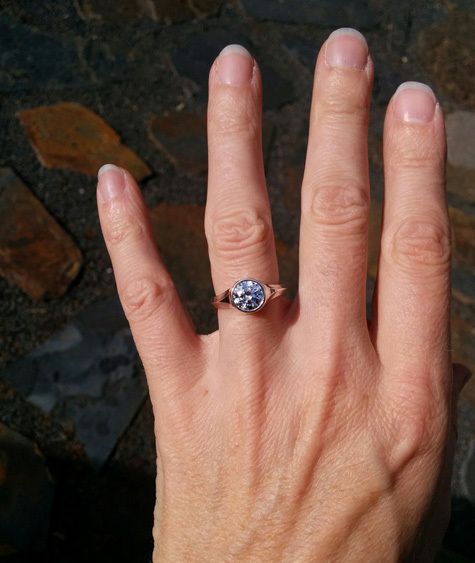 This one is a little bit sturdier and made to accommodate stones in the 1.5ct range (~7.5mm), though I kept it very low profile. 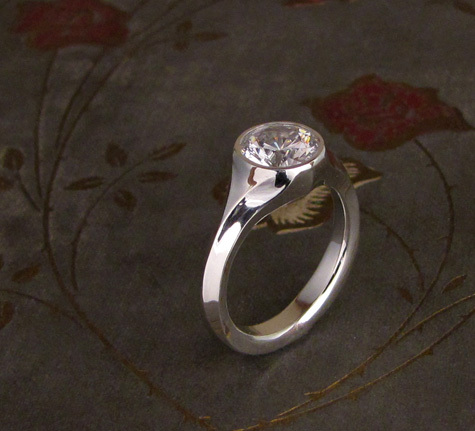 I art deco-ed out a little on this one and carved in subtle ‘facets’ to give it a little geometric interest. I think it turned out supercool! !